In year 2017-18, JP Morgan seemed constructive on making investment decision in blockchain industry ever since Mr. Oliver Harris has taken over the role as head of crypto-assets strategy in esteemed investment banking company. Daniel Pinto, former fixed-income trader and co-president of JP Morgan Chase also told that they were looking ahead for the space of virtual currencies and blockchain technology. Accordingly, on the JP Morgan’s application of patent, the U.S. Patent & Trademark Office (USPTO) summarizes a method whereby users on a distributed network such as a blockchain can tokenize assets and trade these virtual depository receipts. 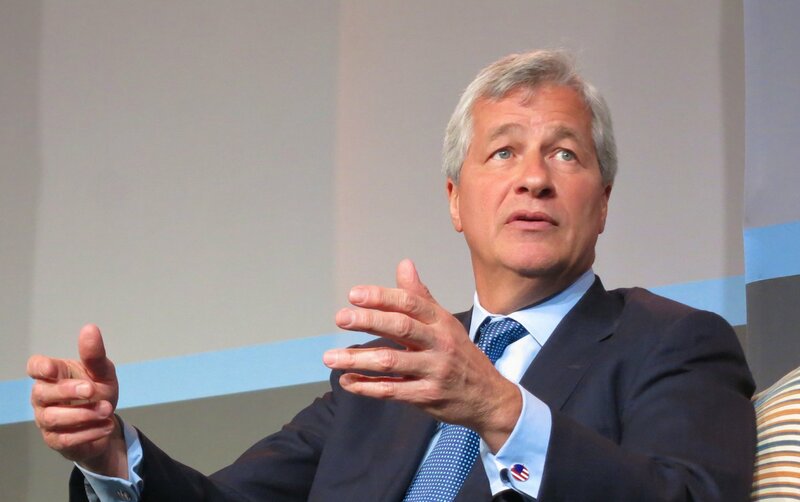 In contrast, the current perspectives of JP Morgan, now, seem to have been changed, as their research divulges that the institutional investors are quickly losing interest in Bitcoin. As per their research inference, key flow metrics have dropped in the recent past to indicate reluctance from the professional investors. Importantly, the research cited interest in CBOE Global Markets which is at its lowest since Bitcoin futures launched a year ago. The veterans supposedly noticed that the shrinking index of open interest (OI) — the number of open contracts on Bitcoin futures — on the Chicago Board Options Exchange (CBOE) global markets. They purportedly claim that in the past month the index reached its “lowest levels” since the launch of Bitcoin futures trading on Dec. 10, 2017. The median transaction volume has dropped by over 96 percent as well, further indicating dwindling interest. Currency Strength Index: FxWirePro's hourly BTC is flashing at 76 (bullish), hourly USD spot index is flashing at -55 levels (which is bearish), while articulating at (07:20 GMT).